Freedom Dental can restore any chipped, fractured or damaged teeth with a dental crown. They are strong, long lasting and can match the rest of your smile. Porcelain crowns are made from a ceramic material and can be used to cover a whole surface of a tooth. They also create a superb natural look like dental veneers. Before fitting a new crown to the broken or fractured tooth, preparation time is required to enable your new crown to bond to it. 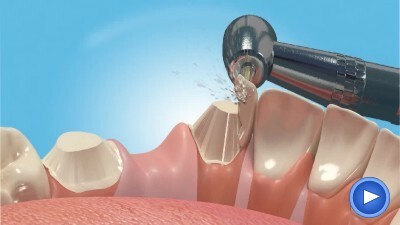 After preparing the tooth, an impression is then made to create the new crown for a perfect fit. The impression is sent to our dental laboratory where expert technicians handcraft the new dental crown to the desired shape and colour to match your natural tooth shade. 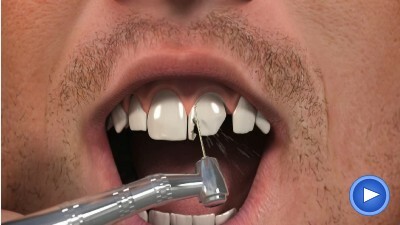 This process may take several days so the treatment generally requires two visits to the dental practice. Once the crown returns from the laboratory it is bonded into place with a special adhesive and should fit perfectly. At Freedom Dental we are proud to use Emax ceramic for the construction of our private porcelain crowns and bridges. This material is extremely strong and closely replicates the enamel of natural teeth making it highly aesthetic. Emax restorations do not contain any metal, therefore light can shine through them as it does through natural teeth. In some cases where there is a gap between adjacent teeth and a crown is needed to be used on a fractured or broken tooth, then a bridge maybe the most suitable option to produce as one unit. Bridges use the adjacent teeth as support and are made with the same porcelain material as dental crowns. As soon as your new bridge is in place, you can then eat and chew as normal. Do you have a broken tooth? To find out more about repairing a fractured, chipped or broken tooth, or to fill a gap where a tooth is missing please call call Freedom Dental on 0161 486 6821 where our dental team will assess and recommend the most suitable treatment for your needs. Complete our enquiry form below and we will be in touch shortly.